A patent is a right, granted to an inventor who files an application to exclude others from making, using, selling or importing an invention throughout the country where the patent is granted without the inventor’s consent. A patent is an exclusive right given by law to inventors to make use of, and exploit, their inventions for a limited period of time. 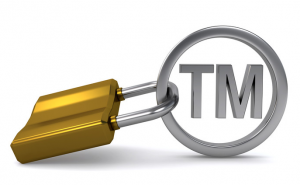 The inventor may license or sell the patent rights defined by the claims of the patent. By granting the inventor a temporary monopoly in exchange for a full description of how to perform the invention, patents play a key role in developing industry around the world. Without a patent, anyone can make and sell your invention without your permission and without paying you. It is important to state that a patent application only provides patent pending and does not provide any enforceable patent rights. Only a granted patent provides enforceable patent rights to an inventor or business. Patent protection in a given country does not extend to other countries. Whilst there is a trend towards global harmonization of patent laws, with the World Trade Organization being particularly active in this area, inventors must usually file an application in each country they want their patent to be effective. Utility patent, which covers the functional aspects of products and processes. This is the most commonly understood of the defined patents. Plant patent, which covers a new variety of living plant. The application for patent must include background information, the nature of any technical problems solved by the invention, a detailed description of the invention and how it works and where appropriate, illustrations of the invention. In general a patent will be granted for an invention so long as it has never been made in public in any way, before the date on which the application for a patent is filed. The invention must not be obvious to others with good knowledge and experience of the subject of the invention and the invention must be capable of being made or used in some kind of industry. Patents do not protect ideas. Any exclusive rights obtained can only protect something that is approved to being eligible to patent. Whilst eligibility for patents vary from country to country, in the United States the list is broad, with eligible protection available for machines, compounds and processes. It is also possible to patent genetically engineered living organisms. Business methods are also eligible for protection as is software, although obtaining a software patent in the United States is difficult as the application will need to include a comprehensive discussion of the underlying technology. Some man-made DNA has also been protected. What is not eligible for protection are laws of nature, abstract ideas, sites looking for the best online casinos like www.topratedonlinecasinos.net, naturally occurring phenomena, business methods that do not involve any kind of machine or apparatus (also known as ‘naked’ business), inventions that have the sole use of being for illegal purpose, atomic weapons, tax strategies, and human organisms. A fact checking system verifies the correctness of information and/or characterizes the information by comparing the information with one or more sources. The fact checking system automatically monitors, processes, fact checks information and indicates a status of the information.